I’d say that the food that goes along with football is pretty equal, if not better than the game itself. Now, you don’t have to get all crazy, I know some disagree, but my personal opinion is that the food is what really makes the Super Bowl, well super. The only problem is that the snacks are high in fats, calories and sodium just to name a few things. 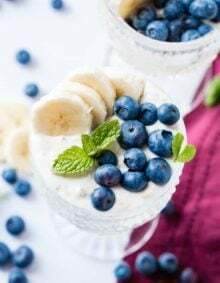 These 10 healthy Super Bowl snacks are not necessarily the healthiest choices out there, but they are much better than the velveeta cheese dip loaded with sausages and chili (which I actually think is secretly yummy). Plus, they are actually quite tasty. Before we get into the actual recipes I wanted to mention the easiest and one of our favorite things to put out for parties. No, I wasn’t paid to say this though I was able to have snacks sent to me a while back to try. 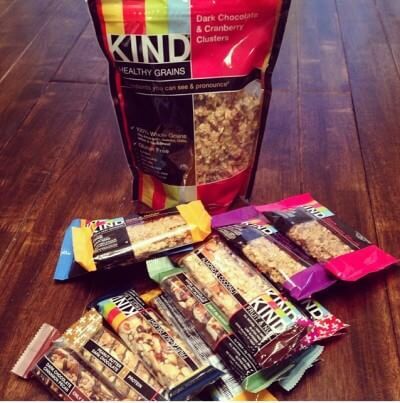 We looooove Kind snacks. In fact I’m eating the dark chocolate cinnamon pecan while I type. 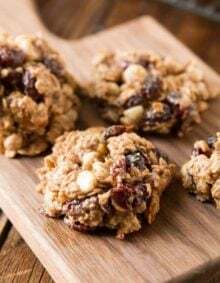 Trust me, no matter how much your guests love the junk food everyone wants something that isn’t so heavy and makes them feel better during the party and Kind snacks are the way to go. You’ll LOVE them. Go buy a whole bunch, place them in a large bowl and you’ll be surprised how fast they go. That Cowboy Caviar sounds so good. We have got to try this one! Thanks, Jani! Hope you’re well! 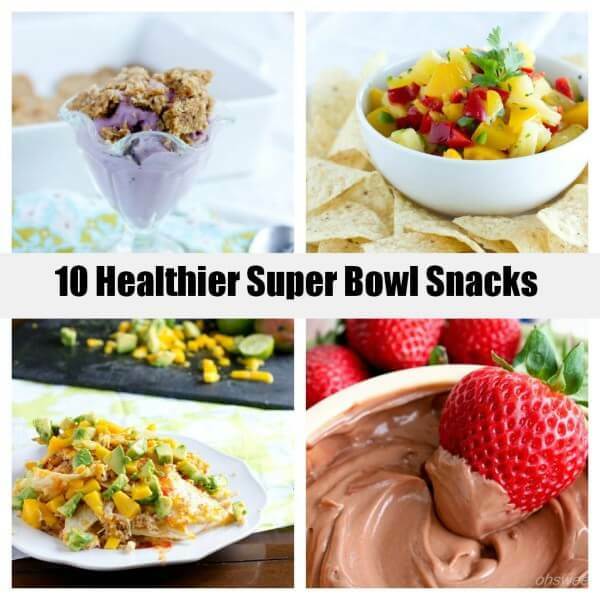 I am all for making snacks healthier, even at the Super Bowl. We are having a party, and I know I will be making some dips and things but using light or nonfat products and Greek yogurt when I can. Also putting out veggies instead of just chips! Yay, I’m so with you! Oh, my skinny friend, Emily taught me about it. She’s really neat. These all sound wonderful! That pineapple salsa sound particularly delicious. I may skip the game, eat a batch of pineapple salsa, drink wine and watch Girls! That’s my kind of super bowl! Nom nom – Forget Super Bowl. I’ll take all of these anytime. Maginifico! 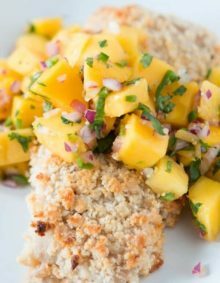 tropical mango chicken nachos..yes please…and that would just be for me. LOL i love these kind of posts…get such neat ideas on what to make and take to a party! yum- these all look great! Love all of these healthy items!!! Dude. My old photos are HORRENDOUS! Fab round up Carrian! I’m really diggin’ that salsa. YUM! Thanks, Wendy!! The salsa is so yum! That pineapple salsa is calling my name… YUM! These look wonderful! I love how light yet flavorful all of these are. Delicious!